« How do I become really wealthy when my main skill set is being fun? 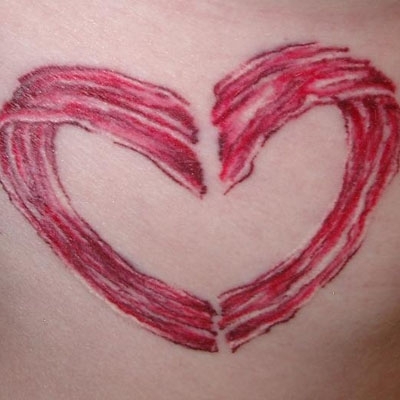 Why would vegans deprive themselves of bacon? I asked around. Something to do with “it’s the least healthy thing you could ever eat ever” and “it’s not nice to kill pigs.” Anyway, I get it, but…bacon. Juicy, orgasmic bacon. It’s like depriving oneself of happiness. Instead of being all judgy of anyone who’s opinion differs from my superior one (per usge), I’m going to provide a review of things that taste like bacon but aren’t. In this area, I am an expert. 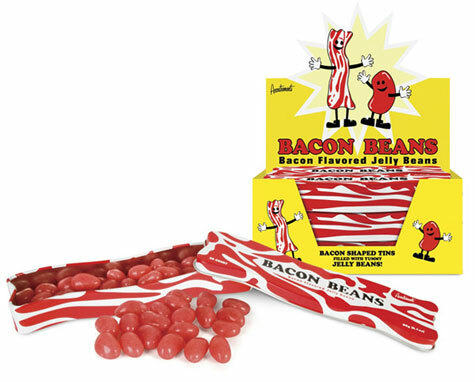 Bacon flavored Jelly beans: Vomit in my face. How anyone managed to take two things that taste delicious and make them taste like chemical-covered plastic chew toys* is beyond me. PASS. 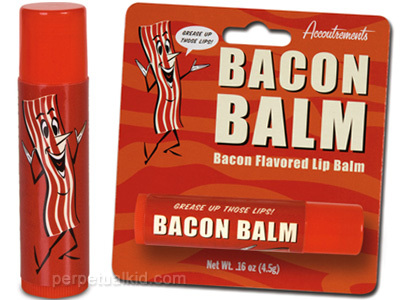 Bacon flavored lip balm: What a let down. I really assumed this would make me want to kiss myself, but it tastes a bit like salt covered plastic chew toy. PASS. Hot dogs and eggs for breakfast! 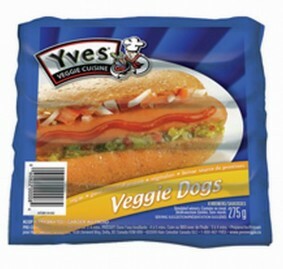 Vegetarian hot dogs: Not QUITE bacon, but a decent alternative. Quite surprised by Yves brand. If you must be a vegetarian, this is a WIN. 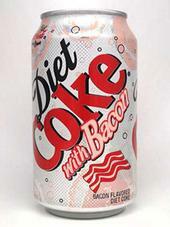 Bacon flavored Vodka: This is not vegetarian, but, how many pigs could it reallllly take to make an infusion? All I’m saying is best bloody mary (bloody piggy?)…ever. WIN. 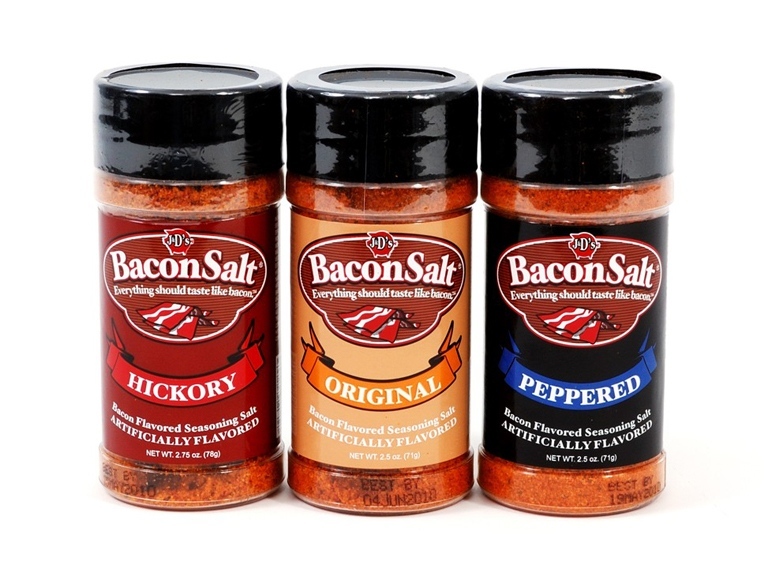 If I started a religion, know that Bacon Salt would be a key part of it. Bacon salt: Their motto is “everything should taste like bacon.” That should be a ’nuff said situation, but let me delve more into this joy. Bacon salt is vegetarian, kosher and has no fat. I’m sure there’s something in there that will kill you at some point (joy overload!!! ), but it’s pretty much the perfect product. You can put it on ANYTHING! Mashed potatoes, mac and cheese, ACTUAL BACON! WIN. This has been my community service for the year. You’re welcome, vegans. *To clarify – I’ve never tasted a chew toy. But, in the same way I can confidently say “Ugh that tastes like a garbage truck” based on smell/site clues, I can certainly identify items that taste like chew toys. This entry was posted on October 29, 2010 at 5:47 pm and is filed under Uncategorized. You can follow any responses to this entry through the RSS 2.0 feed. You can leave a response, or trackback from your own site.